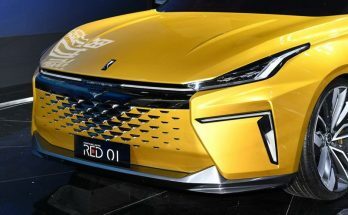 Suzuki will showcase three concepts at the upcoming Tokyo Auto Salon, which will be held at the Makuhari Messe convention center in Japan between 11th and 13th of January 2019. 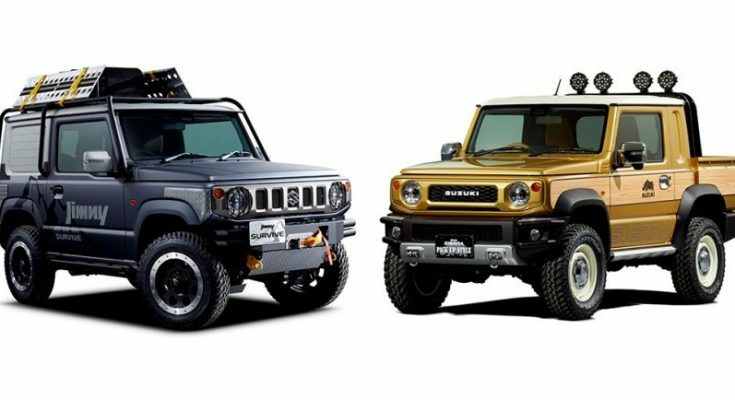 Out of the three concepts that will be presented, two of them are based on the latest Jimny, which have seen some remarkable success in Japanese domestic as well as international markets. 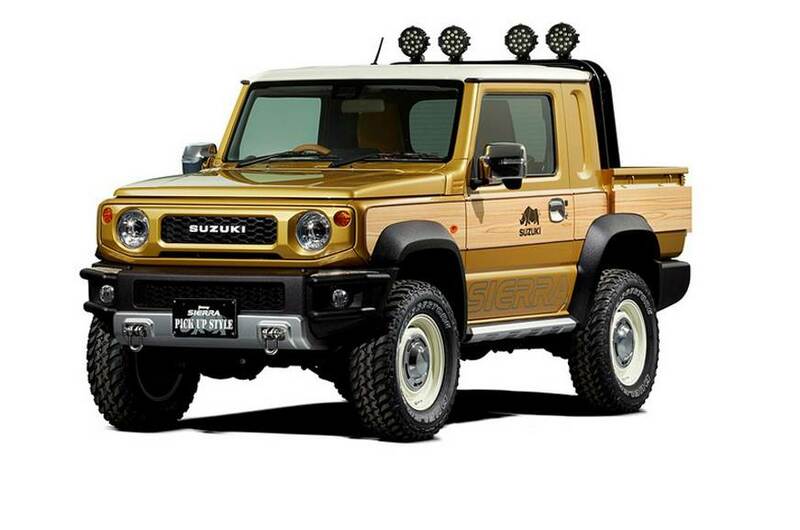 First is the Jimny Sierra Pickup concept that’s shown painted in a striking gold color, with a contrasting off-white roof. It also features two towing hooks on the front bumper, retro wheels, new skid plates and distinct off-road lights mounted on a rack. It also gets a unique wood panel on the sides, similar to that of the iconic 1972 Jeep Wagoneer. 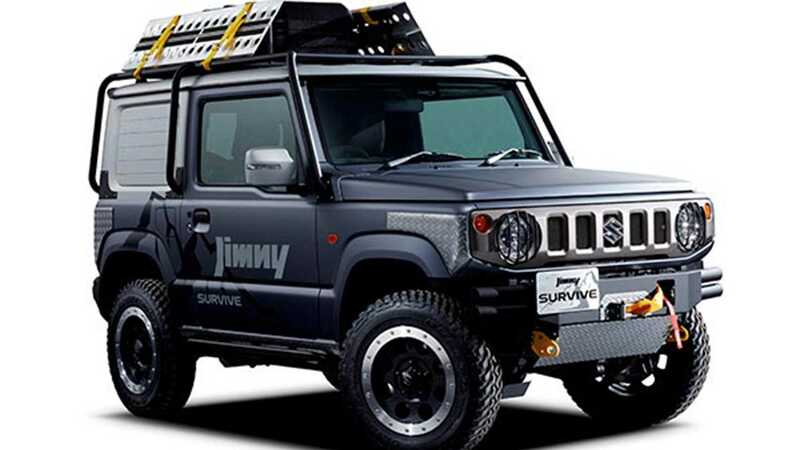 The wood panel on the Jimny pickup features the logo of the Suzuki Rhino Club – the brand’s rhino conservation initiative. Suzuki says the concept was designed for customers who require the convenience of a pickup for DIY stuff, adventuring or other hobbies. 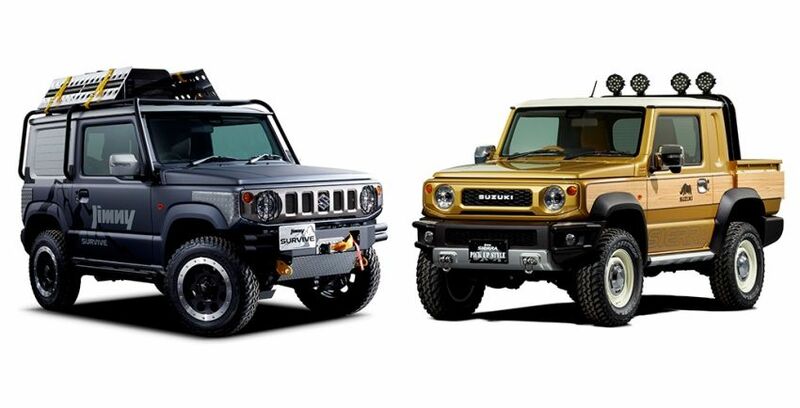 The second is the Jimny Survive concept with a bodywork of small off-roader but adds on plenty of adventuring gear. There are new metal bumpers replacing the originals ones which give better approach and departure angles, plus there is an external rollover cage, a winch, additional metal plating, new wheels and deployable off-road ramps. 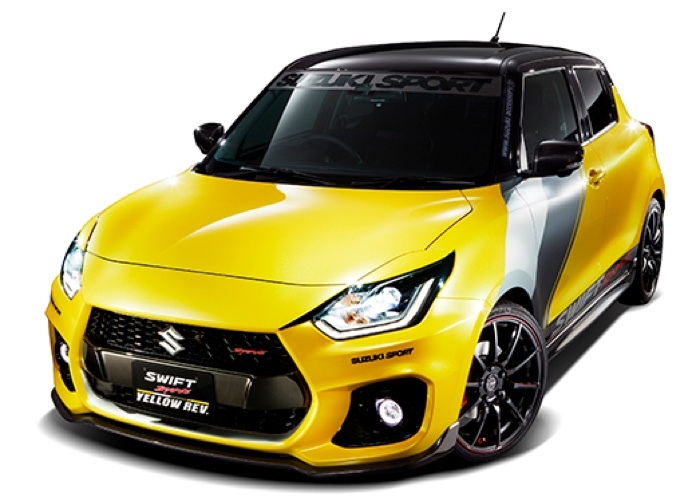 The third concept is the Swift Sport Yellow Rev. 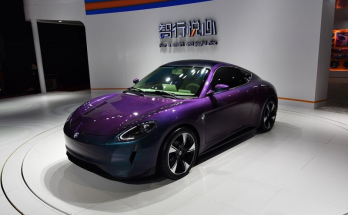 It features a special high chroma Yellow Pearl exterior color with a grey and white stripe rising from the front wing to the driver door window. A matte black front splitter and side sills split the bright color around the base of the vehicle. The Swift Yellow Rev receives some custom decals and a black roof as well.